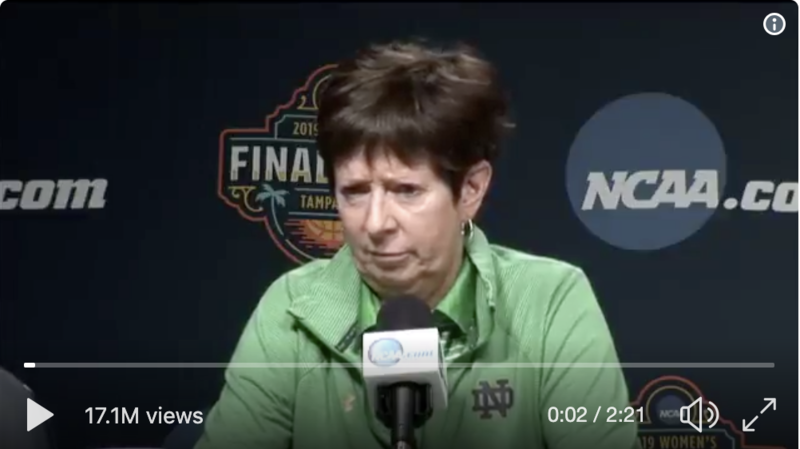 Last week, a video featuring Muffet McGraw, the championship-winning coach of the Notre Dame women’s basketball team, talking about the slow progress towards women's equality went viral. She’s sick and tired and not going to take it anymore. Aren’t we all? We all know the numbers. 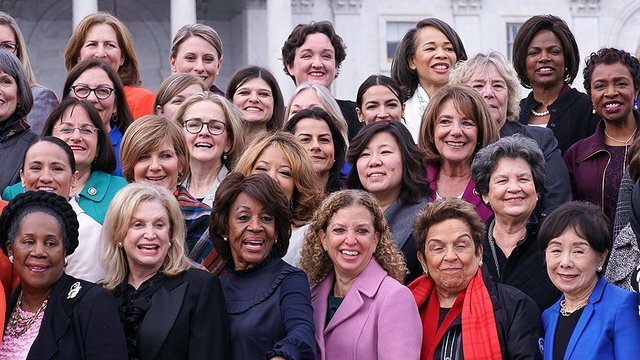 As McGraw noted, in the US, women make up only 24% of Congress, 18% of governors and, as of February 2019, only 21% of mayors. In business, less than 5% of Fortune 500 CEOs are women and women comprise only 22% of Fortune 500 boards. Globally, women account for about 6% of the total number of heads of state and less than a quarter (24%) of senior roles in business.To address the complexity of today’s problems, a rebalance in global leadership is needed in every sector. From shifting populations, violent conflicts and threats of terrorism, a global climate crisis, and worsening economic inequity, women leaders are increasingly on the front line of our world’s greatest challenges. Many are shaping innovative solutions to these and other complex global challenges as transformative leaders, but more are needed. This month, in partnership with The Rockefeller Foundation, I’m convening a leadership forum at the Rockefeller conference center in Bellagio, Italy. Along with Ronda Carnegie, one of the TEDWomen co-founders, we are gathering a group of women leaders from all over the world on the front lines of change in culture, media, business, social enterprises and government. It’s the second gathering of the Women’s Leadership Summit, the first was held in 2017. In that first gathering of global women leaders, we agreed on the attributes needed to be a transformative change leader. We strategized how to apply these attributes to bring forward new solutions to the climate crisis, the threats of rising populism and growing economic inequities as well as reviewing the role for women leaders in strengthening human security, shaping sustainable peace and identifying new solutions to shifting populations. Some of the recommendations resulting from that Bellagio forum have been implemented, and the connections, personally and professionally, have been sustained. While a core group of the first forum’s leaders are returning, we will grow the global community of women leaders with new participants for the 2019 forum convening in Bellagio on April 23. We know that when women lead, organizations are more collaborative and sustainable;businesses do better from every measurement, and governments and communities tend to be more caring, compassionate and just. So why do we need to activate and connect women leaders? Boardroom parity. The share of women sitting on the boards of Fortune 500 companies has more than doubled in the past 20 years, rising from a paltry 10% in 1995 to 22% in 2017. Fabrizio Freda, president and CEO of the Estée Lauder Companies, told McKinsey Quarterly that the conviction is there, but the sense of urgency isn’t: “People believe we are going to get there eventually. But that is not enough; it’s too slow. The real obstacle is the lack of urgency.” It needs to be intentional and there needs to be a plan. So how do we supercharge the change that needs to happen? I believe there is great potential in leveraging and further activating the networks, communities and constituencies of women represented at the Bellagio forum and around the world. I look forward to sharing the outcomes and recommendations that move us all towards a reality that Coach McGraw expressed impatience for — when women leading anywhere and everywhere is the norm and not the exception. And one in which women leaders (and men who stand with us) are working together for the benefit of all.